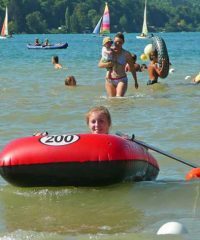 Campsites in The Alps benefit from the sunshine nearly all year round and so it's not surprising that the region is such a popular holiday destination. The French Alps is a great location for a holiday no matter what time of year you visit. During the summer the mountains, lakes and lush green valleys provide the perfect location for a number of sports and activities. During the winter the slopes are a haven for skiers and winter sports enthusiasts. Whether you're looking for a relaxing holiday alongside one of the lakes or one filled with exciting activities you're sure to love The Alps. 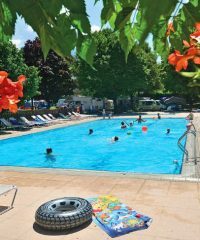 Take your own tent, caravan or motorhome or rent a tent or a mobile home on a campsite with a pool. 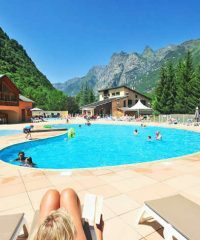 Find the best French Alps campsites below or by using the map above and book your camping holiday in France. 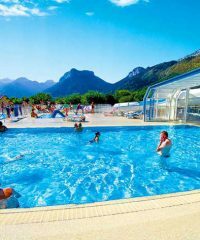 Le Belledonne is a 4 star campsite located in Bourg d’Oisans in the Alps region of France.